After recent data breaches that potentially exposed millions of people’s information, identity theft has risen to the top of the worry list for many people. While the long-term effects of last year’s breaches are still developing, consumers are becoming more aware of different behaviors that could put their identity at risk and how they can work to help secure their information. One of the biggest factors for determining your chances of becoming an identity theft victim is your age. While years alone don’t determine you susceptibility to identity theft, the environmental and lifestyle factors that accompany each decade of your life can put you at a higher risk for fraud. According to the Identity Theft Resource Center, 61 percent of identity theft victims were between the ages of 30 – 59, with the most common age group being 30 -39-year-old victims. College students: In their late teens and early 20s, while in college, people step into a whole new world of freedom and responsibility. Unfortunately, many college students don’t realize the scope of that responsibility until it’s too late. College-aged Americans are four times more likely than any other demographic to have their identities stolen because they have generally clean credit histories, but no experience with checking them or even knowing that they’re supposed to check them. College students don’t help themselves either by leaving out personal documents in easily accessible dorm rooms or sharing personally identifying details about themselves freely on social media platforms. Military service members: The military uses personal data like Social Security numbers to identify their service men and women on a regular basis, meaning there’s a much higher risk of this information falling into the wrong hands and being used to commit identity fraud. While there is a way to help protect the identity of those on active duty, military personnel generally don’t know to place Active Duty Alerts on their credit files before they deploy. This alert can help protect their credit, but if they forget to place the alert, or their personal information is compromised in another way, they can still be at risk for identity theft while deployed. Senior citizens: According to Age Safe America, seniors can be more vulnerable to identity theft. Scammers sometimes prey on seniors who are lonely by presenting themselves as someone trustworthy and then stealing their information for medical or tax fraud. Even more troubling is that ID theft victims above the age of 55 are less likely than younger victims to even know that their identities have been stolen. They can be reluctant to report the theft or ashamed that it happened to them, fearing that they will be viewed as incapable of managing their own affairs. While these three populations may be especially at risk for identity fraud, it’s important that you take proactive steps to help protect yourself against identity theft, no matter your age or profession. Don’t leave identity theft protection up to chance. 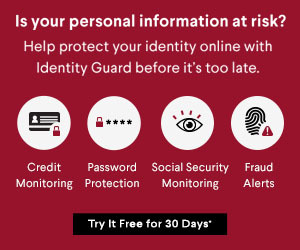 Enroll in an identity protection service, like Identity Guard, that can help you monitor your credit files and alert you to certain activity that could indicate fraud.